Confidence in your tires means confidence on the bike (click to enlarge). Talk all you want about frame geometry or suspension set-up, but choosing the right tire is arguably one of the biggest factors in assuring a great ride — or race. So how do you get your rubber right? 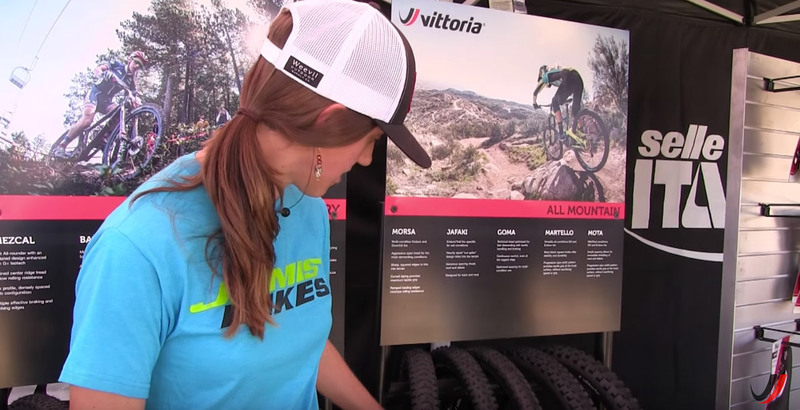 In this episode of the Vittoria How-To Series, we turn to pro enduro racer Syd Schulz (Jamis-Vittoria), who walks us through her thought process for choosing tires. As a recap, Schulz’s Vittoria tire quiver consists of three options: the Goma, Jafaki, and Morsa. With that arsenal, she can essentially ride wherever she wants whenever she wants. The Vittoria Goma has wide, flat knobs, making it great for hardpack conditions (click to enlarge). The all-mountain oriented Goma with its wide, flat knobs is great for hardpack conditions, like what you might find in Moab or Sedona. The tire comes in 26, 27.5 and 29 versions in both 2.25” and 2.4”. Whichever you choose, the Goma is a great option for when you want a lot of tire-on-trail contact for maximum traction. This Jafaki is a wet-conditions enduro tire that utilizes a cut-spike moto-design with self-cleaning tread knobs that have siping, stepped side knobs, and leading edges that are ramped at the center (click to enlarge). When conditions turn sloppy, Schulz reaches for the Jafaki, which shines in muddy conditions. 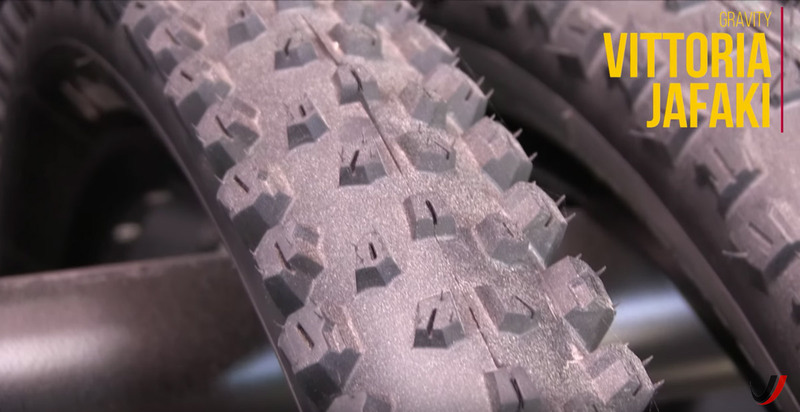 This wet-conditions enduro tire utilizes a cut-spike moto-design with self-cleaning tread knobs that have siping, stepped side knobs, and leading edges that are ramped at the center. 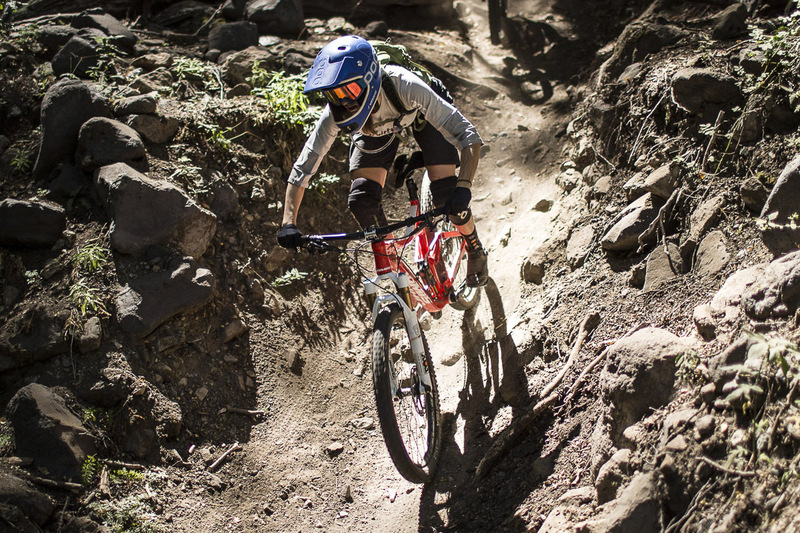 The net effect is a tire that digs deep, helping you maintain control even in steep, slippery downhill sections. The Jafaki comes in 26 and 27.5 with widths of 2.35” and 2.5”. The Vittoria Morsa is a classic all-conditions tire that excels in mixed conditions, especially loose and loose-over-hard (click to enlarge). The final arrow in Schulz’s quiver is the Vittoria Morsa, a classic all-conditions tire that excels in mixed conditions, especially loose and loose-over-hard. It has an aggressive open tread and sharp square edges that bite into the terrain. Curved siping further enhances grip, while the ramped leading edges cut down on rolling resistance. The Morsa is available in all three wheel sizes in 2.3” and 2.5”. For more information visit www.vittoria.com. Confidence in your tires means confidence on the bike. Syd Schulz rides for the Jamis-Vittoria team. Pro enduro racer Syd Schulz always has the right tire for the conditions at hand. 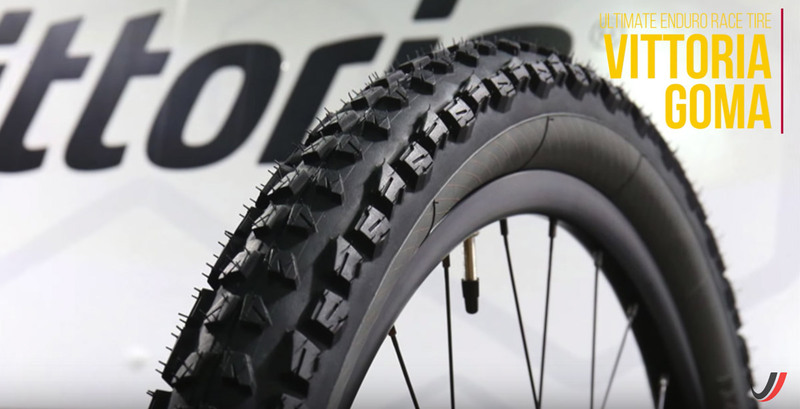 The Vittoria Morsa is a classic all-conditions tire that excels in mixed conditions, especially loose and loose-over-hard. 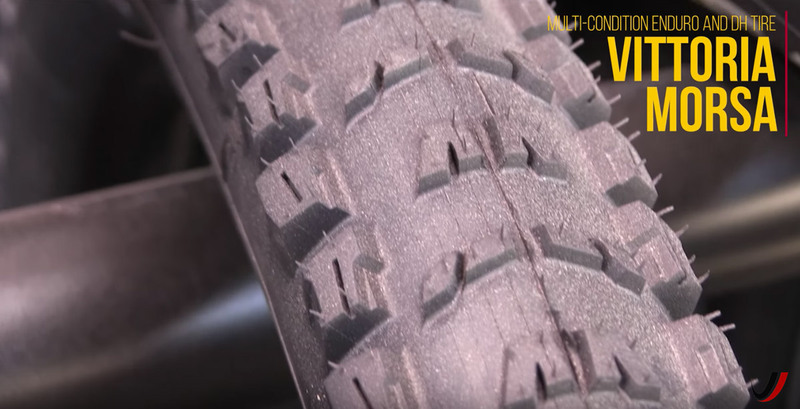 This Jafaki is a wet-conditions enduro tire that utilizes a cut-spike moto-design with self-cleaning tread knobs that have siping, stepped side knobs, and leading edges that are ramped at the center. The Vittoria Goma has wide, flat knobs, making it great for hardpack conditions.